Equipment sales receipt is defined as the legal proof of payment made by the buyer to the seller for the equipment purchased. Nowadays it has become a very common practice to get a proper receipt for purchases done even by the common men. These receipts are helpful for the buyer as it backs his payments made. Sales receipt should never be discarded. 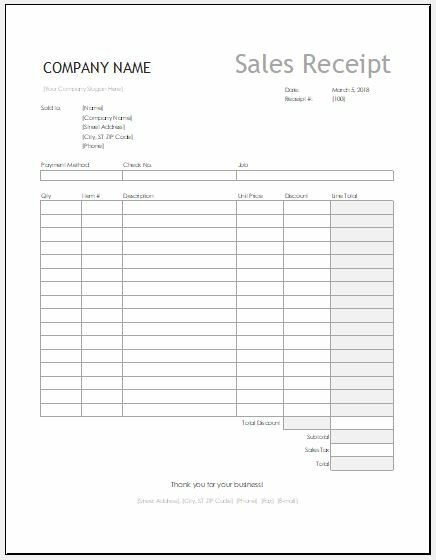 You ought to have your sales receipt available when either returning or exchanging products or services. A sales receipt is of utmost importance for the purchaser. It works as the legal proof of the payment made. With the receipt, a customer can claim for the product or service if required. Date of sale: It is thereby important to mention the date on which the sale took place. Name of buyer and seller: The receipt should clearly list down the names of both the buyer and seller. Price of the equipment: sale price of the equipment should be mentioned. The quantity of the equipment purchased: It should not only include the price of the equipment but also the quantity purchased. Model and Make the equipment: The make and model number should be entered correctly. Full address of the buyer and seller: Full address of both buyer and seller be entered correctly for any future concern. Signatures of both the parties: Lastly signatory of both the buyer and seller should be present. With increasing complexities of life, only verbal agreements are not enough. In verbal agreements, it becomes easy for either party to move back from his commitment. But having a sales receipt would not allow this. It would act as a legal piece of document which can be presented in case of fraudulent activities. Getting the receipt is a must. It will help you review your purchase as well. Enlist all the products that have been purchased by the customer. This receipt can be used as an itemized receipt for all the items purchased along with its price. You can print as many copies as you want. But, remember for being MS Word document you must make the total amount and apply the sales tax calculations manually. 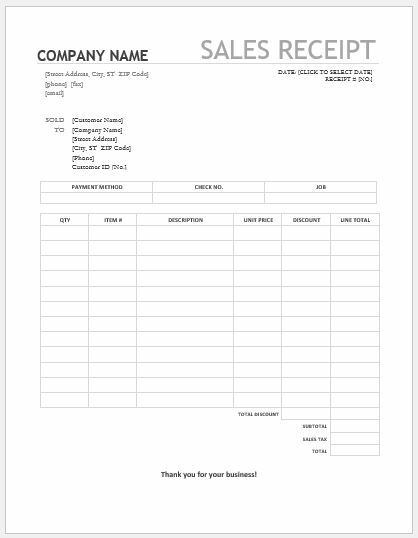 This is MS Excel worksheet for a sales receipt. As being an MS Excel spreadsheet you do not have to make calculations by yourself. All the total amount and tax calculations will be made by itself.